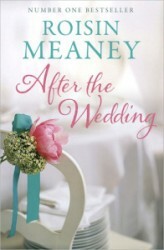 It’s the beginning of May on the island of Roone and Nell Mulcahy, having called off her wedding to the handsome Tim Baker, has finally admitted her love for his brother James – a love everyone else on the island recognised long before she did. Now Nell is setting off for County Clare, to a church overlooking the sea, to say ‘I do’ to the Mr. Baker she was meant for all along. But when James and Nell return to their home after the wedding, they find Roone rocked by the disappearance of a young girl holidaying on the island. As the summer progresses, and Nell and James navigate the ups and downs of life as a married couple – along with Tim’s return to Roone – the search for the girl continues. And the island residents discover that everything can change in a single moment. But will happiness be restored before autumn comes?